Over the last three weeks I have been blessed to witness phenomenal work with young people in a number of our faith communities in the Episcopal Church in Minnesota. Recently I participated in gatherings around visioning and long range planning for both Shattuck-St Mary’s and Breck . Already in many respects on the leading edge of education, both of our schools continue to amaze me with their deep commitment to nurturing the mind, body and soul of young people. Two weekends ago I was fortunate to be a part of Youth Blast at St Mark’s Cathedral. This fun filled Sunday afternoon brought together a number of young people who also had the chance to hear our story as a people of faith in Minnesota. It was very apparent that our young people were both engaged and interested in their history as Episcopalians in Minnesota. Last week I attended the annual lunch for grantees of Sheltering Arms. Story after story was told of the incredible work being done for young people in challenging situations across the state. Lives of children and youth are changed in real ways in our communities and our faith communities ever day because of the good work of Sheltering Arms. Over the weekend I spent a part of Saturday at Breck for the Poly Special Olympics. 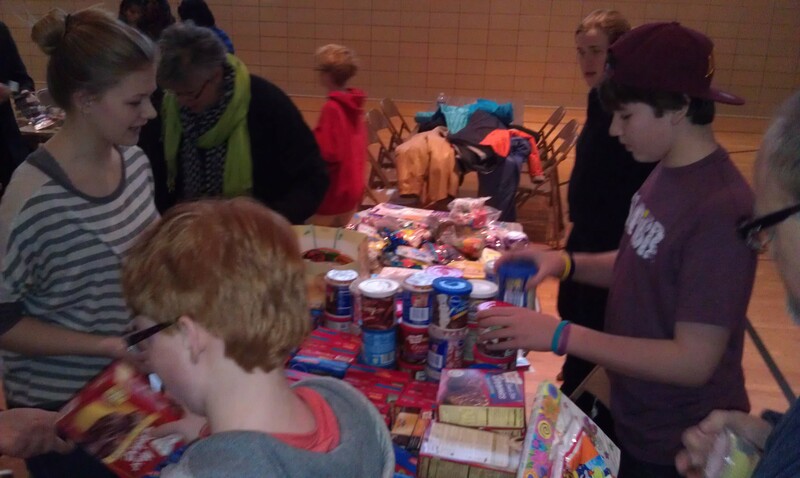 Wall to wall young people – some participating some volunteering – all using their gifts for ministry. From there it was off to St Stephen’s, Edina and a room full of middle school students representing most of the faith communities in the metro at Winterfest where their energy was truly infectious. Saturday evening after a very inspiring worship service with the east metro faith communities I was fortunate to hang out with and listen to live music performed by some of our young people. Both the conversations and the music was great. Many of those same young people spent the earlier part of their day collecting and putting together items for ECS as a part of Mission Project 2012. What a blessing our young people are. These recent travels have once again convinced me that both the present and the future of the Episcopal Church in Minnesota is very bright!